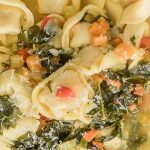 Vegetable Tortellini Soup, a hearty and comforting soup loaded with veggies and cheese tortellini! 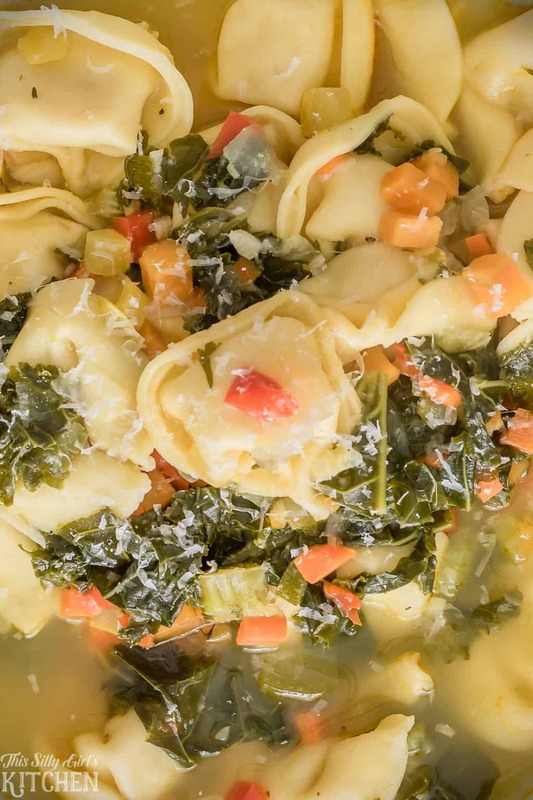 Tortellini Vegetable Soup is one of those dishes I just can’t get enough of! 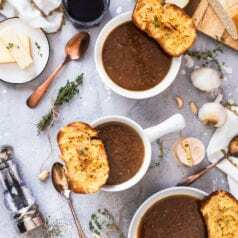 I love soup in general, it is so warm and comforting and the perfect winter lunch! 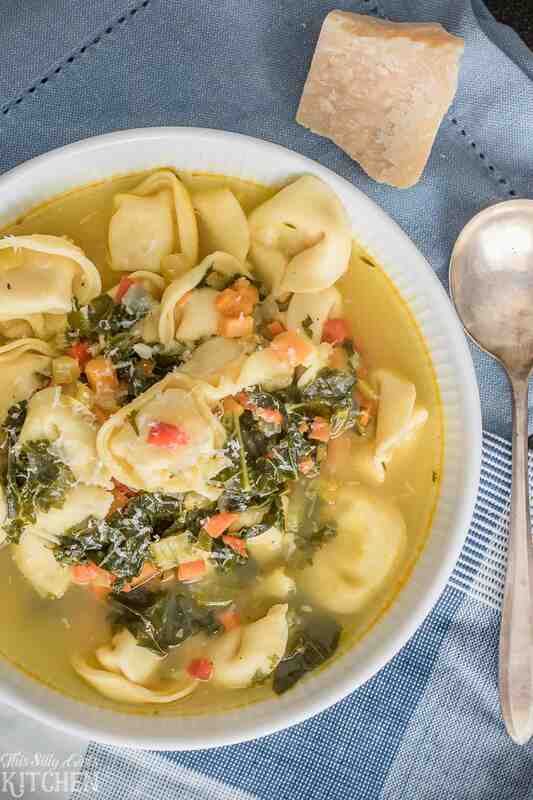 Throw in some cheesy tortellini in the mix and I am sold! I LOVE cheese stuffed kinds of pasta so this recipe really speaks to me. I threw in a bunch of veggies I already had on hand like zucchini, sweet potato, and kale. But, with this recipe, it is super easy to customize it however you want! I topped everything with a sprinkling of Parmigiano- Reggiano. Can you blame me?! Any excuse to add Parmesan I’m all for it! 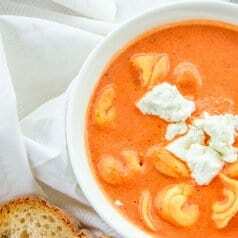 Take this recipe, like most recipes, as a starting point to make your own customizable soup! Don’t like carrots? No problem, take them out and add another veggie you do like like broccoli! This soup recipe is vegetarian, I used vegetable stock for it, but if you really like chicken stock, use that instead! Add a cube of chicken tomato bouillon to really add a flavorful punch! Add more toppings like fresh herbs, pesto, shredded chicken, or even serve with grilled cheese on the side, go nuts! Like every recipe, I suggest getting everything chopped and ready beforehand. So, chop, slice, and cut up your veggies consisting of onions, carrots, pepper, sweet potato, zucchini, squash, garlic, and kale. Or, you can even use prewashed and packaged kale like I did, the easy way! Sautee veggies in a little olive oil and a pinch of kosher salt in a large pot over medium-low heat until onions are translucent. 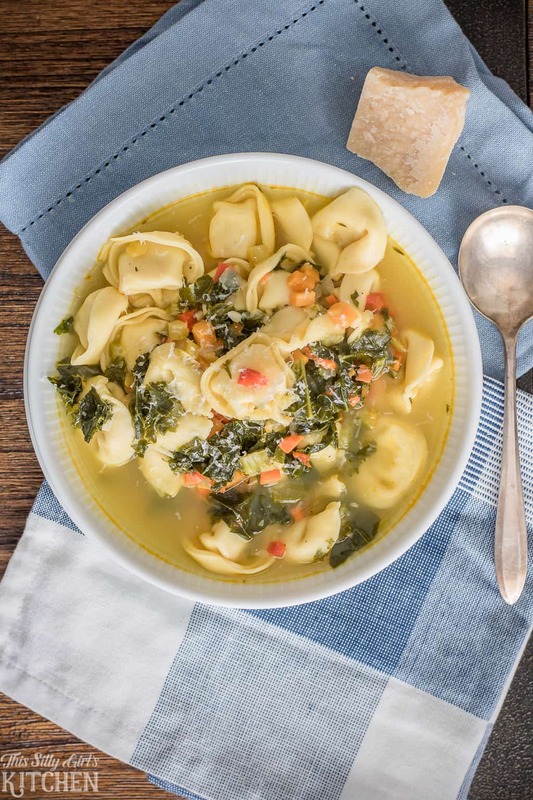 Add tortellini at the end to cook according to package directions, serve with the garnish of your choice, like Parmesan cheese! Enjoy in your favorite snuggly spot. Chef’s knife, for chopping up those veggies! Large pot to make the soup, I love this kind with holes in the top to strain right in the pot! Cutting board, I love using these nonslip ones. In a large pot over medium-low heat, add the olive oil, onion, carrot, pepper, and sweet potato. Add a pinch of salt, stir to combine. Cover and let cook 10 minutes, stirring occasionally until onions are translucent. Add zucchini, squash, thyme, bay leaf, and garlic to the pot, add a pinch of salt and stir to combine. Saute 5 minutes. Add the remaining ingredients except for the tortellini and garnish. Bring to a boil, reduce to a simmer and simmer uncovered for 30 minutes. Add the tortellini to the pot and simmer per the directions on the back of the package. My package said to simmer for 6 minutes. Garnish with Parmesan, optional. 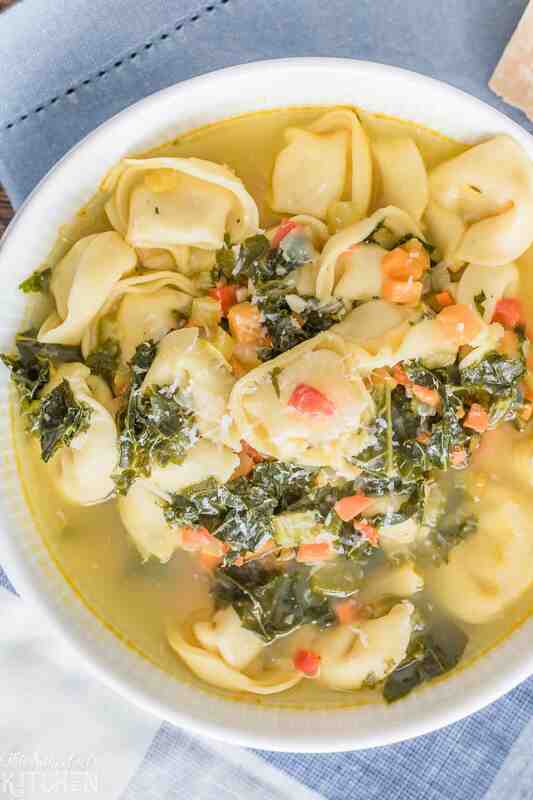 I love tortellini soups! 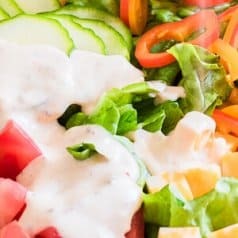 This looks so good and a great way to get some veggies in.